I’ve been surprised at how much I dislike the fit of most safety glasses. Maybe I have an odd head/nose, but most fit oddly and are not comfortable for long periods of time. One complication is that I require readers lenses. I only require 2.0 or 2.5, but i prefer using 3.0 because I figure if I’m going to have some magnification, I might as well really have some benefit from it. Up to this point, my favorite safety glasses have been 3M Tekk safety glasses, but I couldn’t get them on Amazon in 3.0. So I decided to try these Elvex glasses figured they were worth the $11.99 price tag. I love these glasses. A lot of safety glasses seem to have sharp edges or fit oddly. These fit more like sport sunglasses that I’m used to. The magnification works well—I did get them in 3.0. I even like the way they look. They’re light and comfortable—I highly recommend, especially for the price. @CharlesA, I gather from your post you wear these instead of readers and don’t require any additional correction. Is that correct? Do the Elvex glasses conform to the sides to protect from side traveling particles? Years ago, well actually decades ago, I got hit by some chips from the side; as the glasses didn’t completely wrap around my face to protect me from such. While in the military I saw a lot of machinists that didn’t wear side-winged safety glasses get hit with flying chips from the side. That convinced me your needed to protect yourself from side flying particles. 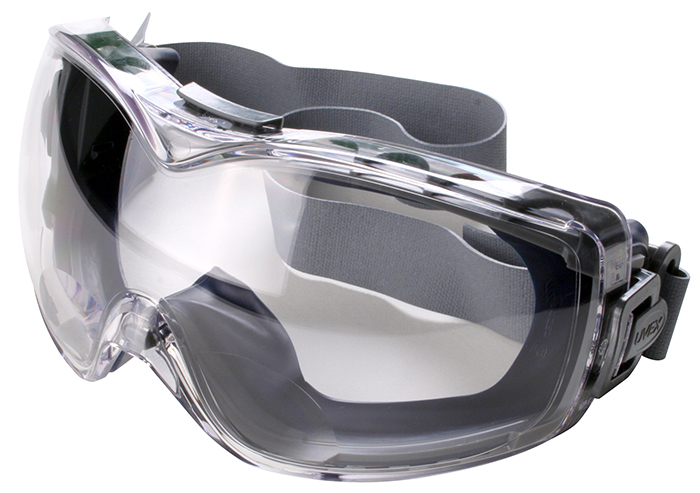 This year as I move forward on my next safety issue (dust control), I may switch back to standard glasses under a ventilated full face mask as I’m looking at a Trend Air/Pro. I’m not overly fond of combo solutions, but this one maybe worth the investment. After I finish out the HF DC modification and Air Filtration projects in the next few months I’ll post results and then take up face mask or safety glasses issue for those of us needing prescription glasses. I like these Elvex safety glasses. I have a couple pair of Elvex glasses. This style works well and fits over my prescription glasses. This style does a great job of blocking dust and dirt but will not fit over my glasses. The 3M ones I have been wearing have side shields, these Elvex ones do not. Bill, I’d never heard of Elvex before I purchased mine. The ones you link to look pretty interesting. I used to buy Elvex reader/safety glasses, they are great! However, no longer available in Canada, according to the person I used to buy from. Still have a few pair, they are way ahead of all the rest, and last 8 hrs a day for a couple of years or more. I have these and like also good protection. Just need reading glasses they sell them at my Lowes.